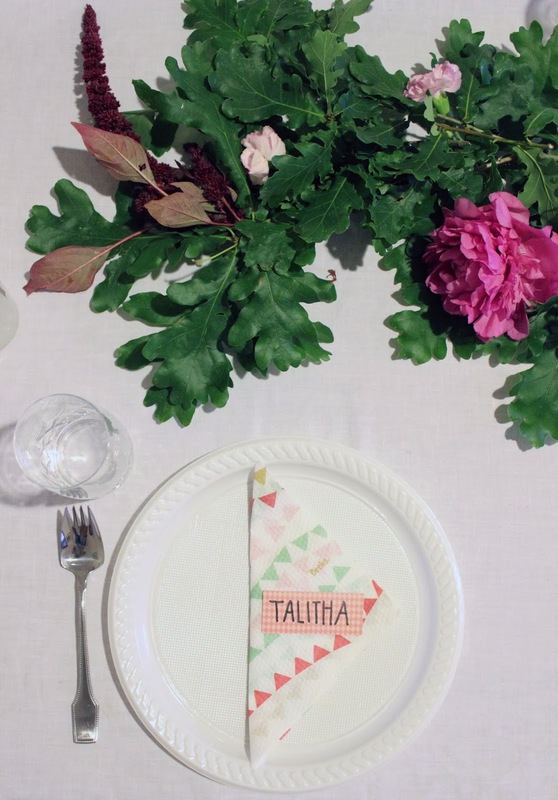 We hosted a breakfast for my sisters hens party last weekend with all the girls! 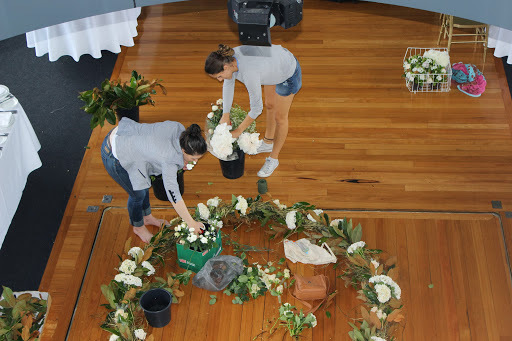 I barely need an excuse to go to the markets and buy flowers to decorate with but this was a good excuse! 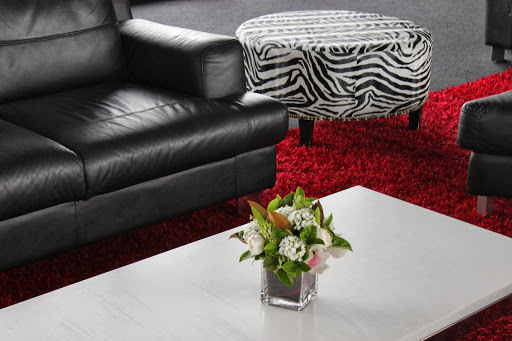 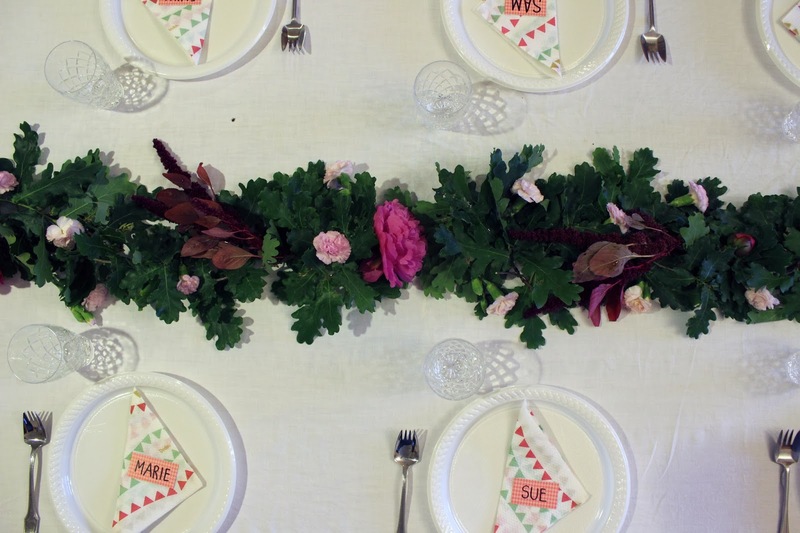 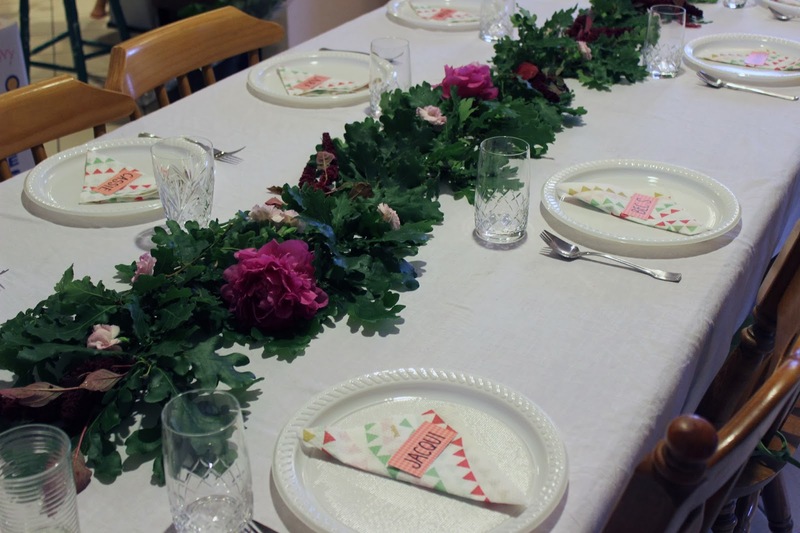 Floral runners are so effective and easy to create! 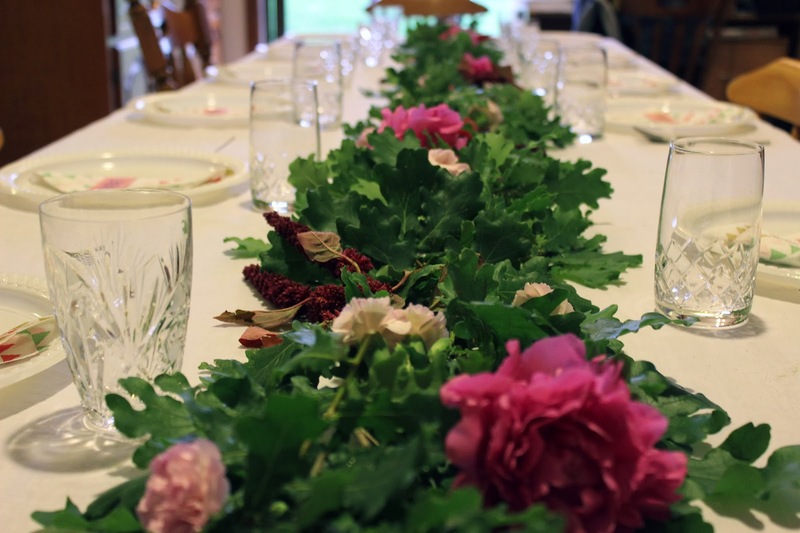 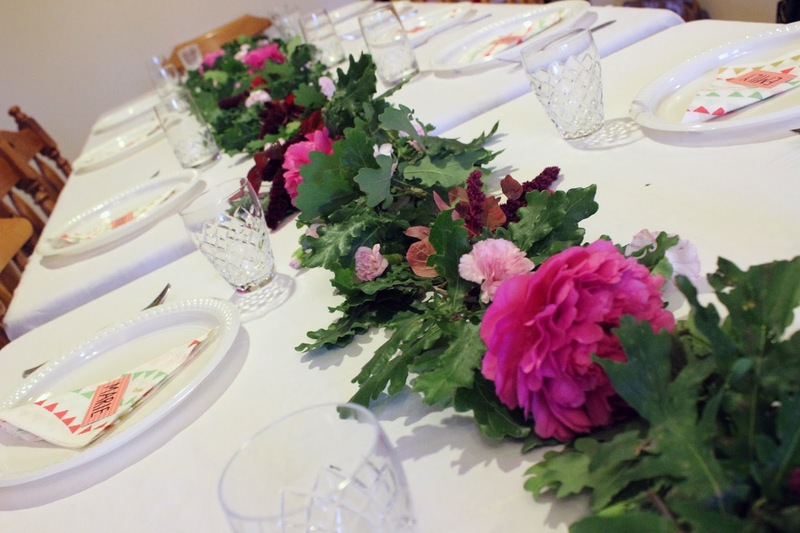 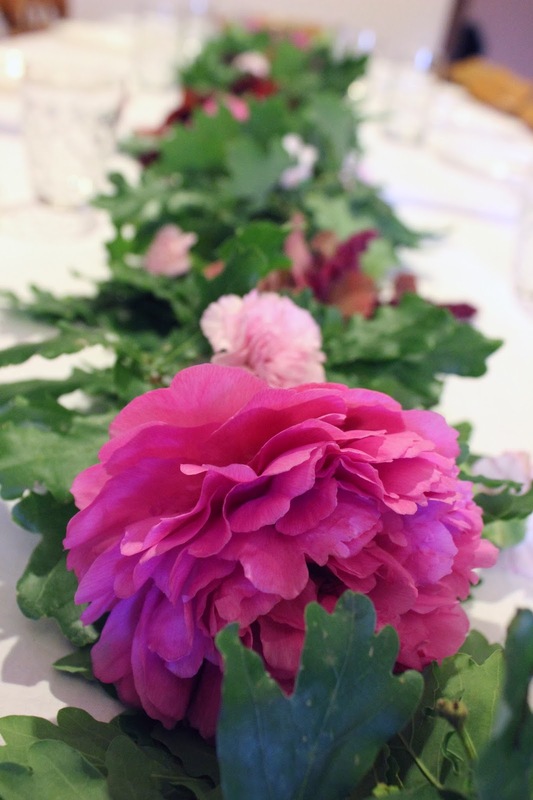 Oak, peonies, amaranthus and pixie carnations. 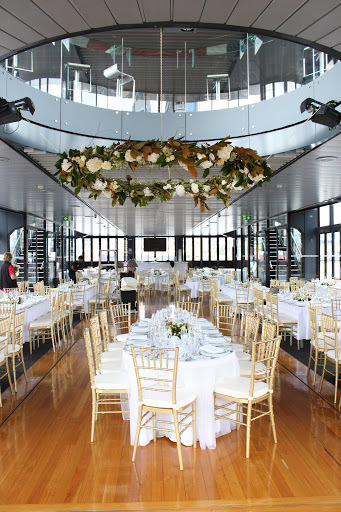 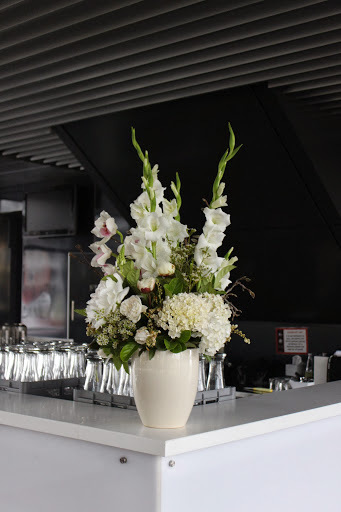 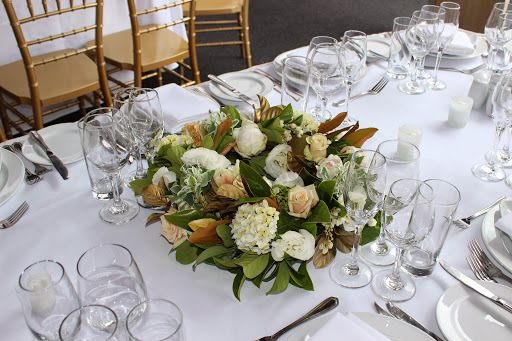 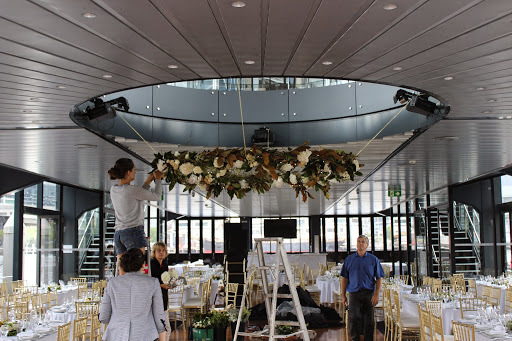 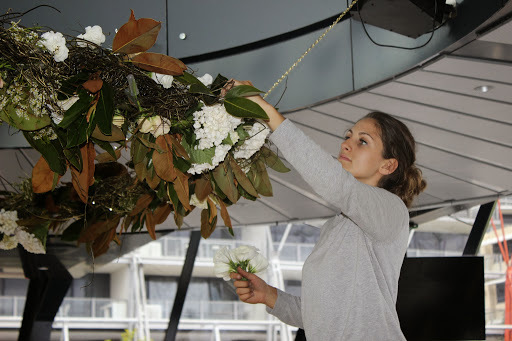 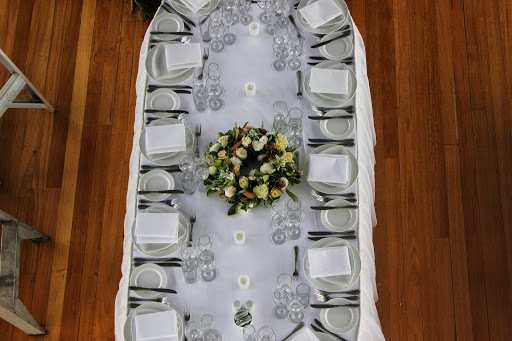 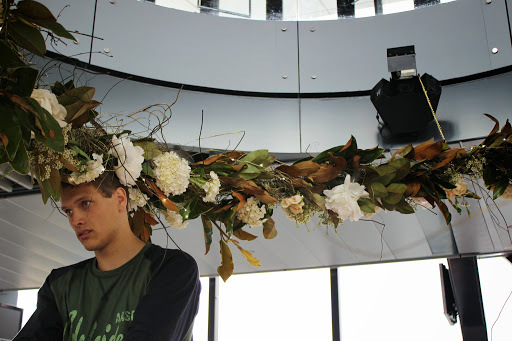 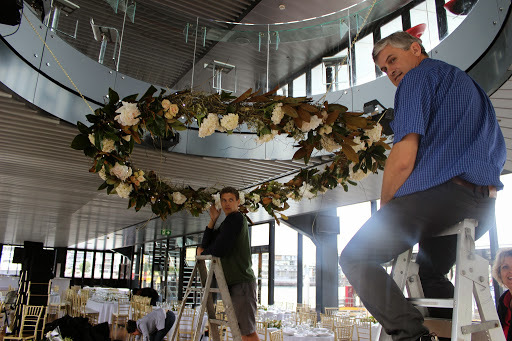 A 2 metre floral hanging wreath installation, 24 wreath table centre pieces plus some other arrangements on the Starship Sydney. 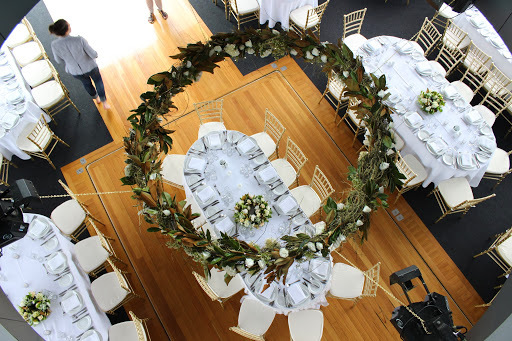 Congratulations to Chantelle & James! 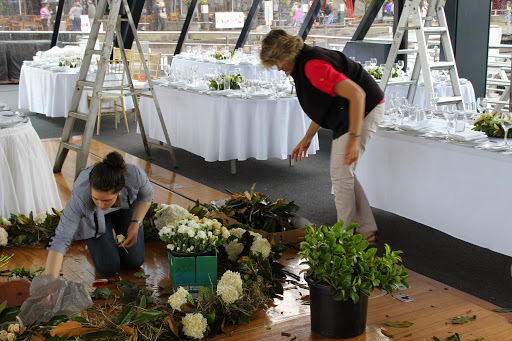 A massive thank you to Mum, Dad, Mitch & Emily for getting drenched doing multiple trips back and forth from the car to the boat and for making my job easier!